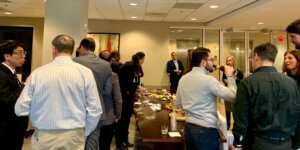 Cranfill Sumner & Hartzog LLP’s (CSH Law) Charlotte office hosted a delegation of 27 attorneys from the U.S. State Department’s International Visitor Leadership Program (IVLP) on March 19. 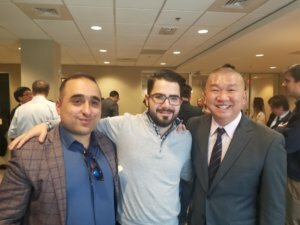 The IVLP is a short-term, international exchange program for professionals that provides nearly 5,000 professionals each year with the opportunity to learn from their colleagues in a specific field in the United States. 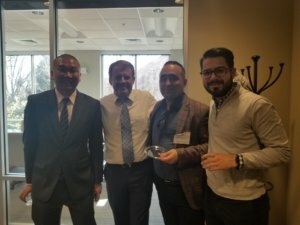 In partnership with the Citizen Diplomacy Program at International House in Charlotte, the IVLP invited a delegation of legal professionals from 26 different countries to visit Charlotte and learn about transparency and advocacy in the U.S. Judicial System. 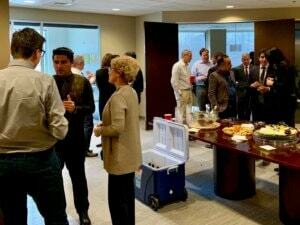 The delegation consists of chief prosecutors, judicial advisors, legal experts, secretariats of judicial ministries and other legal professionals. 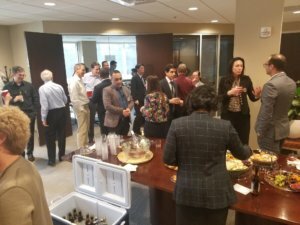 CSH Law Attorneys Mica Worthy and Ryan Bolick met with the group and presented on how the N.C. State Bar regulates the practice of law and the grievance process in North Carolina. 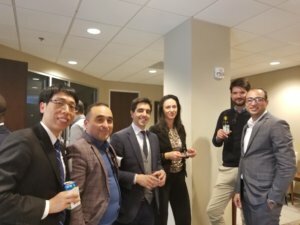 CSH Law held a reception following the presentation for the delegation. Ryan Bolick is a Partner in the Charlotte office of CSH Law and Chair of the Mecklenburg County Bar Grievance Committee. Mica Worthy is a Partner in the Charlotte Office of CSH Law and a Certified Global Business Professional.